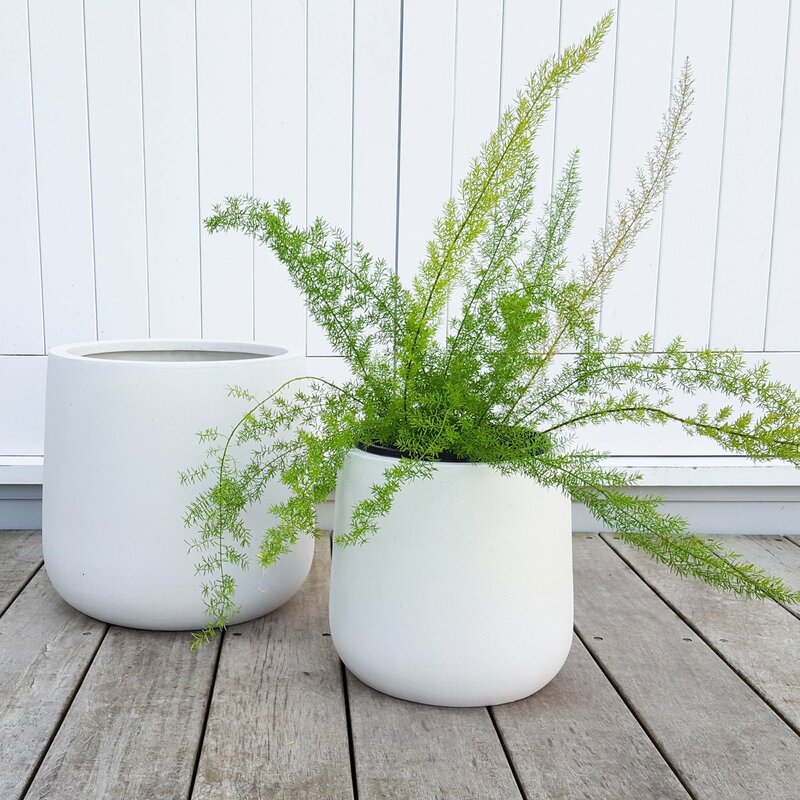 This Scandi style Bianca Cylinder Pot is made of mineral particles and lightweight fibreglass. It is warm white and has a smooth speckled stone-like texture. Pot dimensions: 25cm tall x 26cm diameter at the widest point. Internal diameter (hole) at top is 20cm. We have sealed the drainage hole of this pot so it can be used a cover pot for an indoor plant.